American University in Washington, D.C., announced its plans to spend $121 million on its diversity and inclusion plan over the next two years last week. 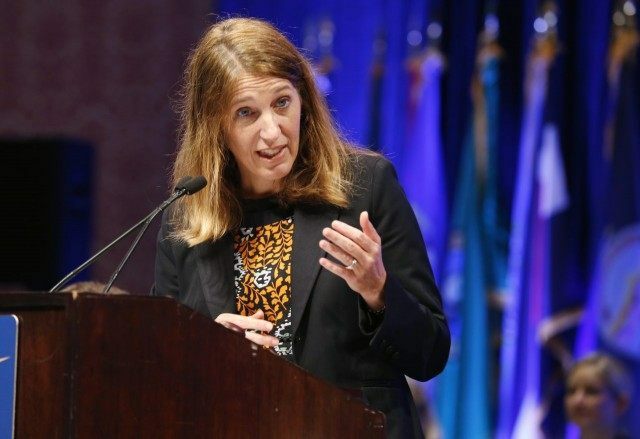 Sylvia Matthews Burwell, the former secretary of Health and Human Services under President Obama and current president of American University, announced recently the university’s plan to spend $121 million on a two-year diversity and inclusion initiative. $53 million of the total funds will go directly to diversity-related scholarships. In an interview with American University’s student newspaper, Burwell suggested that $121 million might not be enough. She hints that $121 million is only the initial amount that will be spent on diversity and inclusion efforts going forward at American University. And as we go into our two year budget cycle, my first one will be starting next year, we’ll examine that question and try and understand. We wanted to make sure it was clear the resources that are committed to this, and we’re specific about that. But as we think about the future, that’s a question we’re asking ourselves and it will have to do with the progress we think we’re making. The plan was devised in response to student surveys that revealed that minority students don’t feel comfortable on campus. According to the survey, only 33 percent of African American students said they felt included on campus as compared to 71 percent of white students.